Eleanor Margaret (“Babe”) Killorin Osborn was born Nov 19, 1932, in Salem, Oregon. She died in Portland, Oregon, on March 11, 2019. She was a devoted wife, mother, grandmother, aunt and friend. She attended Cathedral Grade School and Immaculata Academy. After graduating, she worked at D.N. & E. Walter & Company, as a stewardess for United Airlines, the Oregon Education Association and at Mt. Pleasant Elementary school in Oregon City, Oregon. She married Harvey J. Osborn on February 11, 1961. They raised their family and resided together in Portland, Oregon, until her death. She was a longtime member of the parish of St Clare Catholic Church, serving in many volunteer roles both in the school and church. She also volunteered with the Society of St Vincent DePaul and Birthright. She and Harvey enjoyed spending time and vacationing with family and friends. Their favorite destinations were the Oregon coast, Sunriver, and various locations in Europe. Among the many joys of her life there were perhaps none greater than her grandchildren, for whom she was caregiver, confidant and unwavering fan. Among the many items that decorated her homes, foremost among these were the pictures that documented their lives. She is survived by her husband, Harvey Osborn, children Matthew Osborn and Elizabeth Boileau (Paul), brother Paul Killorin, grand-children Matthew Boileau, John Boileau, Elizabeth Osborn, Peter Boileau and William Osborn. She was preceded in death by her parents and by her sister, Mary Elizabeth (Sally) Killorin. A rosary and funeral mass will be held on Saturday, May 11, 2019, at St. Clare Catholic Church in Portland. The recitation of the Devine Mercy chaplet will begin at 1030AM, followed by a funeral mass at 11AM. A reception will follow at the parish. 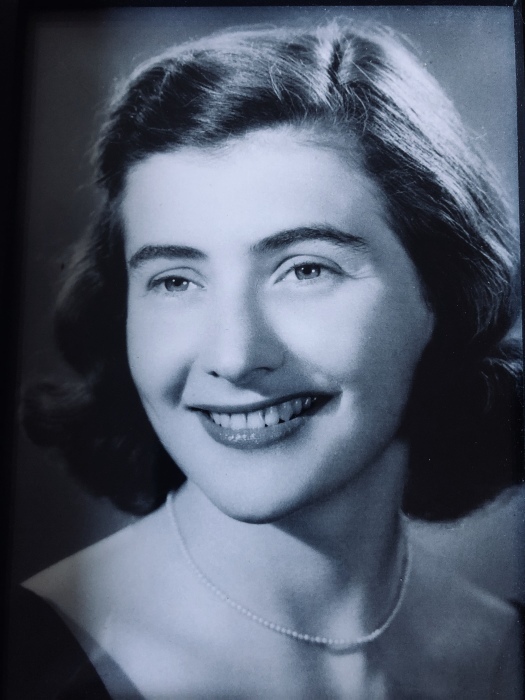 Because of her constant support of her grandchildren’s education, Remembrances can be made to Jesuit High School, St. Mary’s Academy, Valley Catholic High School or St. John Fisher School.